Leading Manufacturer and Exporter of Filling Machines such as Capsules Filling Machine, Powder Filling Machine and Volumetric Liquid Filling Machine from Mumbai. Our enterprise is an eminent manufacturer, trader, wholesaler and supplier of optimum quality Volumetric Liquid Filling Machine. Our offered filling machine is obtainable from us in varied specifications so as to meet the variegated requirements of customers. This filling machine is manufactured by our experts utilizing optimum quality material and advanced technology. This filling machine is rigorously tested on well defined parameters for supplying a perfect range to our customers. Being a well established-organization, we are engaged in manufacturing, trading, wholesaling and supplying a distinguished range of Powder Filling Machine. This filling machine is commended in the market for its easy installation. The offered filling machine is manufactured by utilizing high grade raw material & contemporary techniques in fulfillment with the set standards. 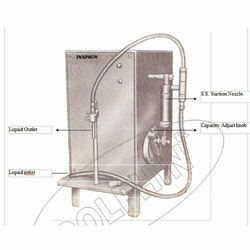 Offered filling machine is obtainable with us in various specifications to choose from. Barrel and piston arrangement with stroke setting of various capacity 5 to 100 gm. tubes detachable nozzles provided for each separate capacity. All contact parts and hopper are made of S.S. mounted on cast iron body, hand lever operated, with 2 nozzels. 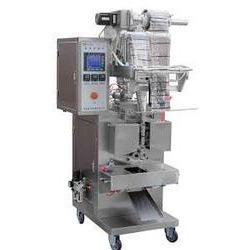 Looking for Pharmaceutical Filling Machines ?